SQL Tutorial bringing you the most basic concept on SQL NULL values, their usages with SQL IS NULL and SQL IS NOT NULL clauses. 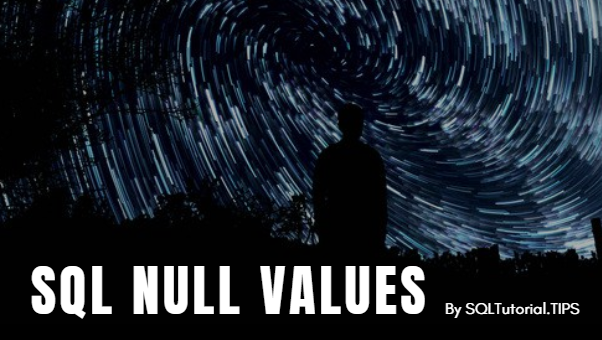 So, what is a NULL value? If a variable or a field in a table is having NO VALUE then it is said to have the NULL value. What I am trying to say is, NULL is not a string without any characters or an empty string or a zero. However, if we assign NULL to an integer column or a column with a varchar2 datatype, it will assign 0 and ” an empty string respectively. Now you see we did not specify the order_desc for the orders_t table in the SQL insert query where we are inserting about Postgres Tutorial order details. So, SQL will take that as NULL data. But, wait a min, when you run the above queries the following query will create a problem. It will complain you as follows. The reason is we must specify the column names if we are providing less data or orders_t table or in a different order. So the correct way of inserting only a few columns would be as follows. Let us look at the SQL NULL values in that orders_t table. We will use the following query to have a look at the database table. Here, you can see SQL inserted NULL by default. We can not use operators like =, <, >, <> for NULL. It makes sense as we know that NULL data has no datatype. So, these operators will not work out. SQL gives us IS NULL operator to deal with the SQL NULL values. Similarly, we can use NOT operator with IS NULL for inversion of data selected. Let us see SQL IS NOT NULL operator syntax. Let us select the rows which have order_desc as NULL. The output would look like the following. Now, what if we want to select the rows which have order_desc values. We do not want rows with NULL value for order_desc. In that case, we will use the IS NOT NULL operator. The output would be as shown below. In this SQL Tutorial, we learned about SQL NULL values. Apart from that we went through SQL IS NULL, IS NOT NULL operators.